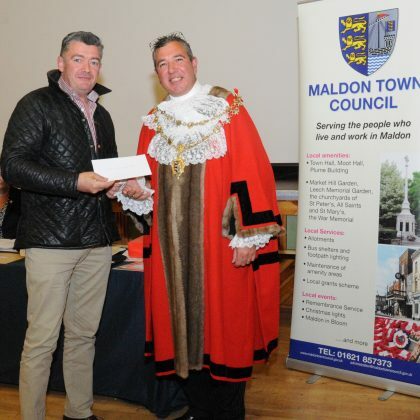 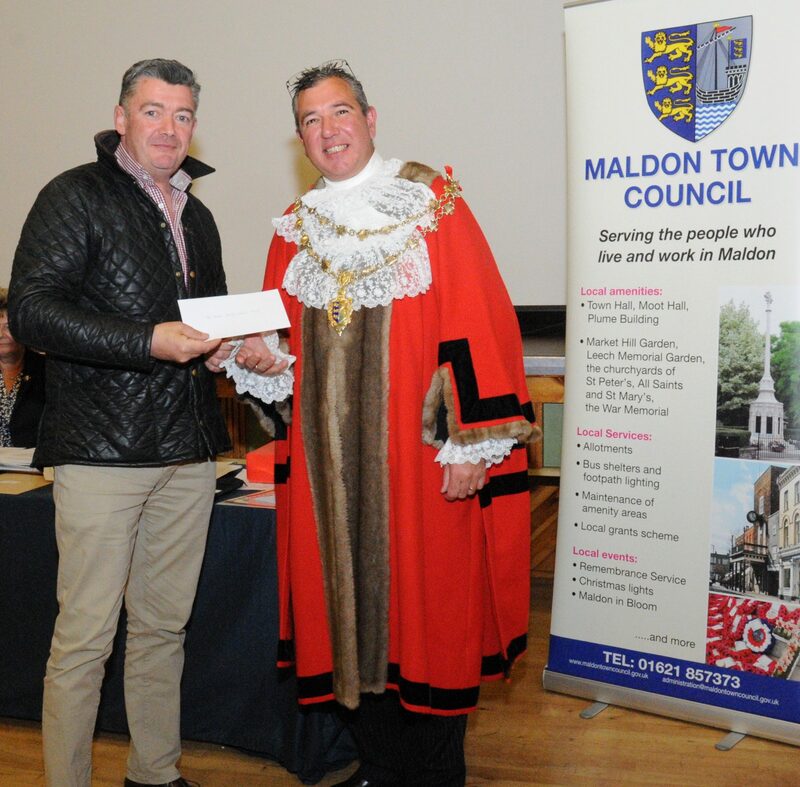 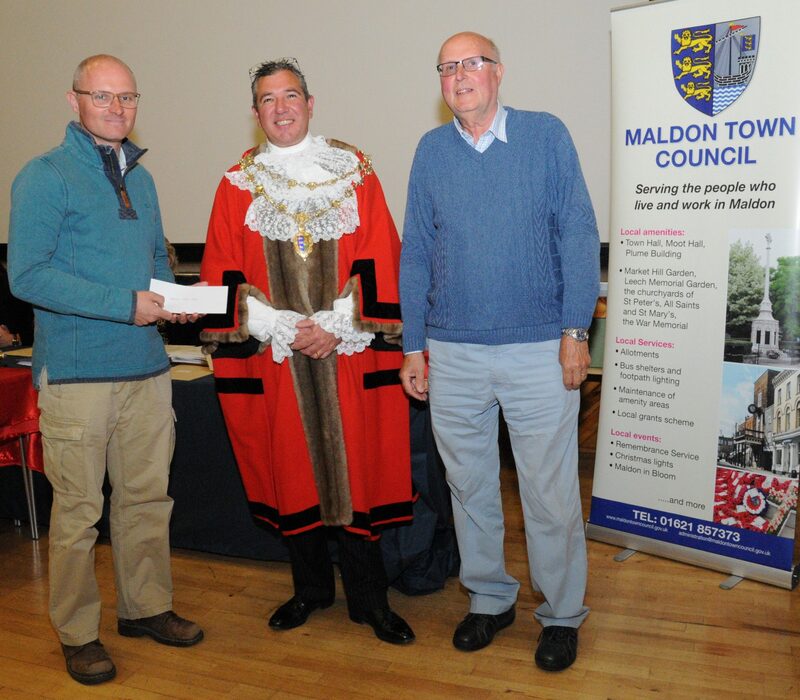 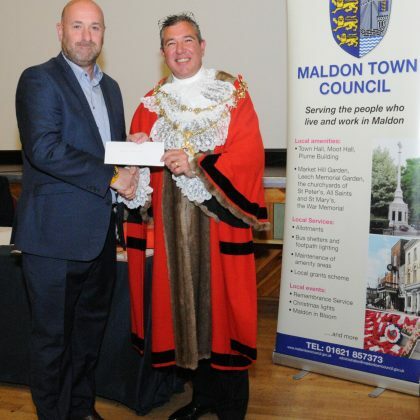 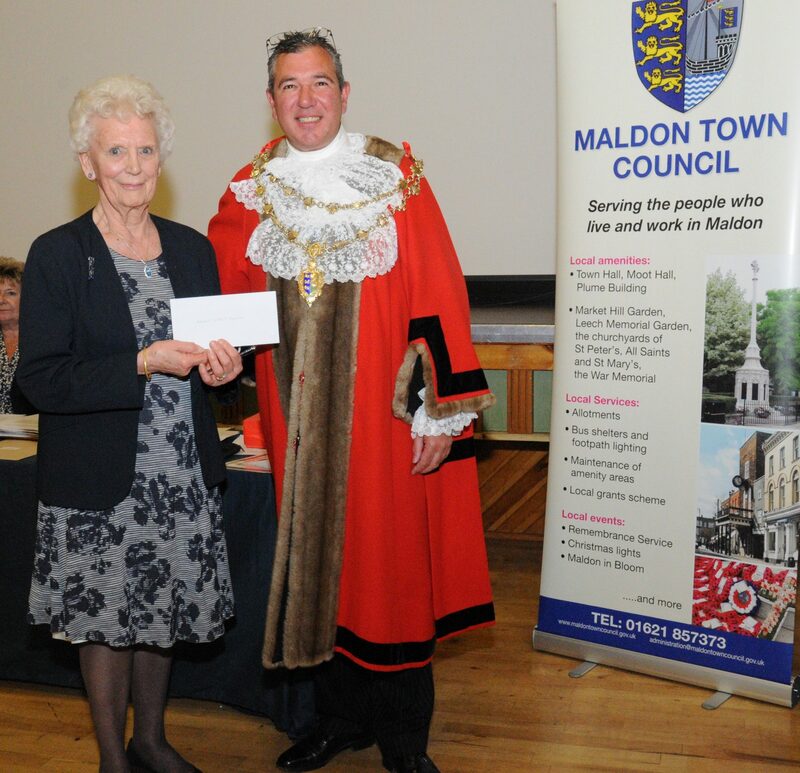 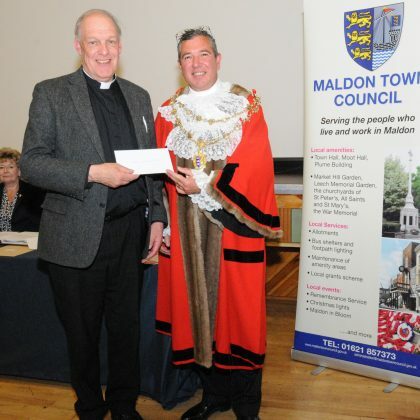 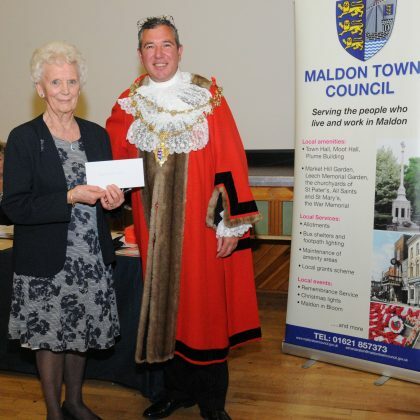 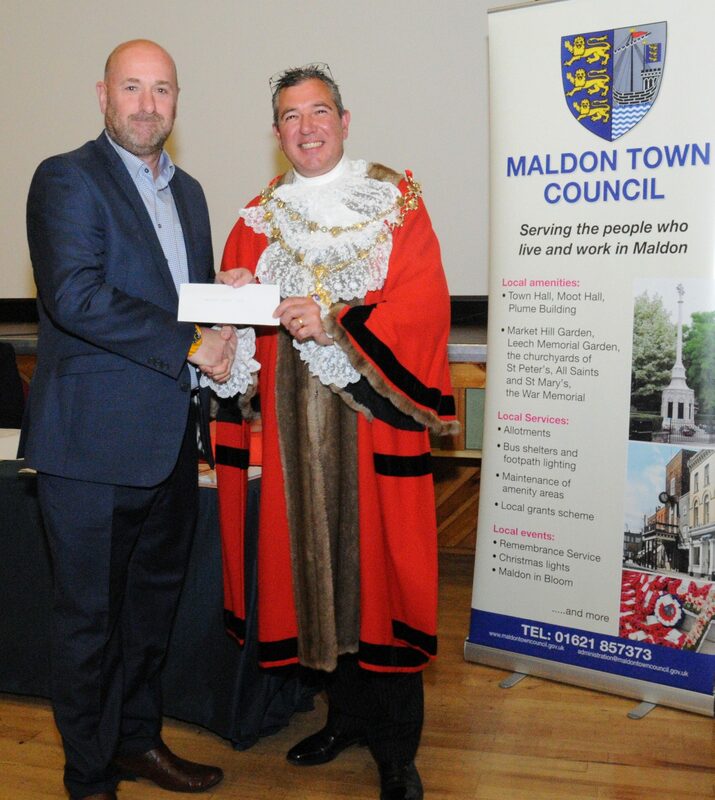 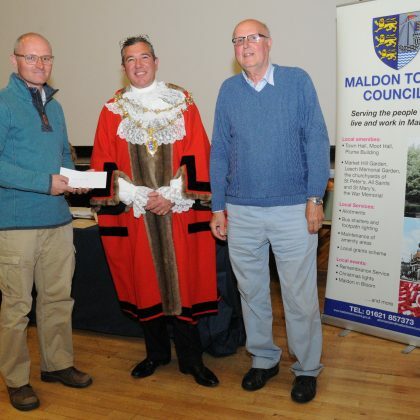 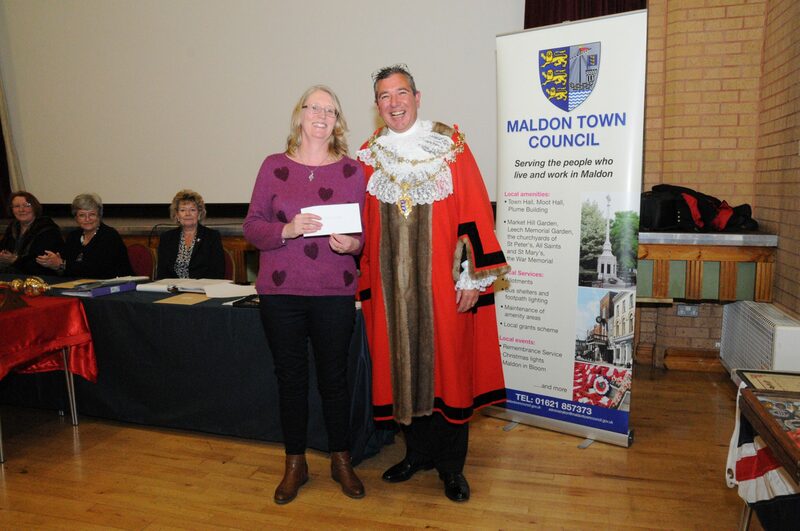 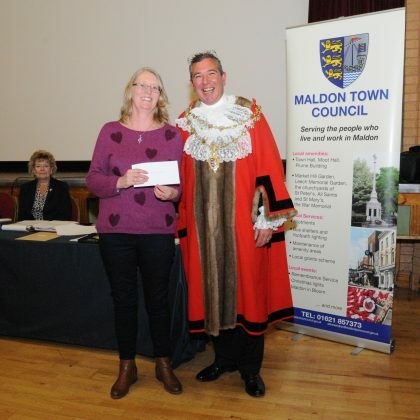 The Mayor, Cllr Richard Miller was pleased to be able to distribute a number of cheques to local organisations from the proceeds of the Mayoral Charity evening held during the past year. 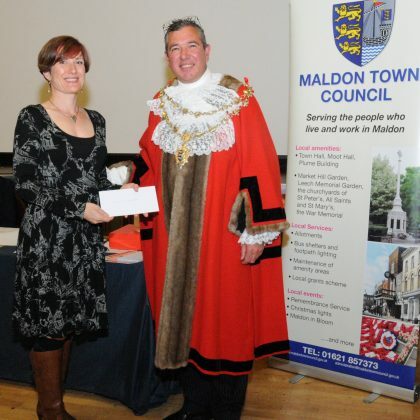 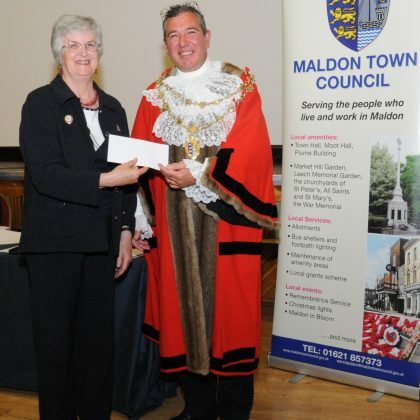 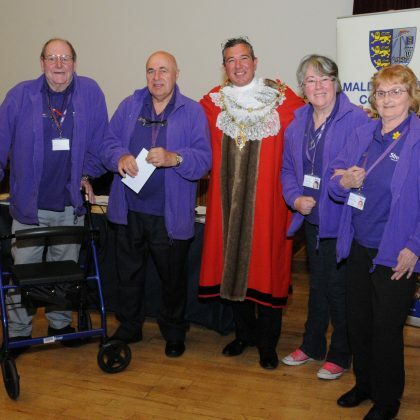 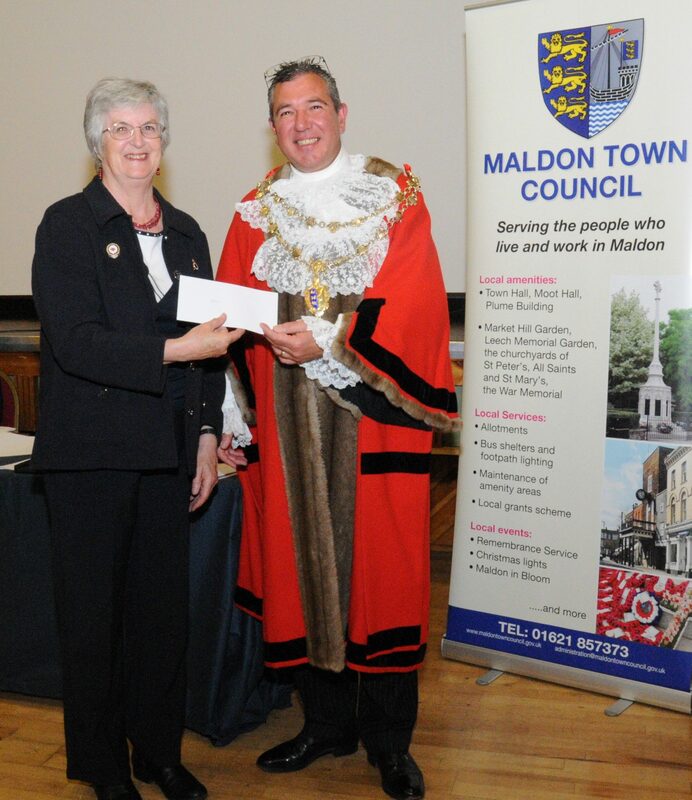 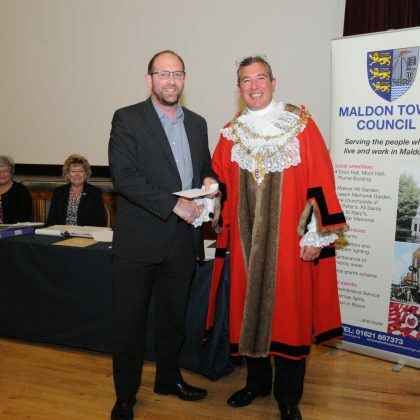 Cllr Miller said “It is within the gift of each Mayor to hold events to raise funds for charities of their choice. 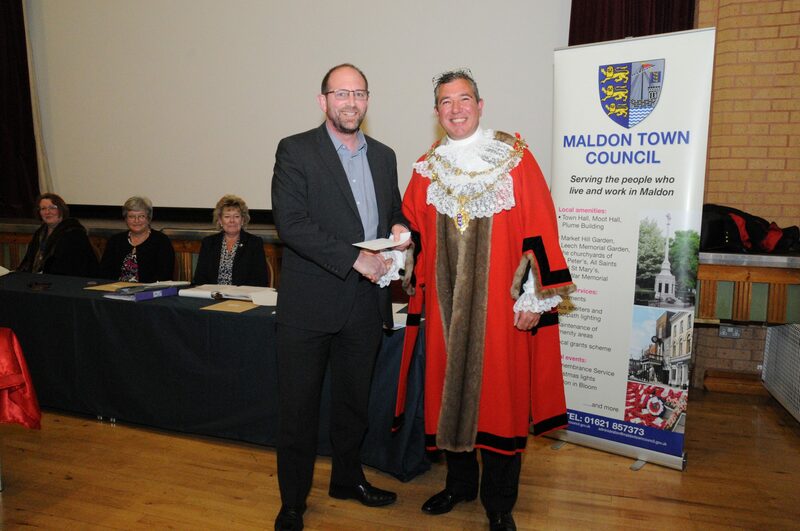 The year started with a sell out Chinese meal at The House of Delight followed by an amazing Black Tie Ball, a talk on how Maldon won the First World War, a fabulous Casino night organised by Chris Ciniglio, by popular demand TWO dinners at Maldon Tandoori and marvellous Concert by the Maldon Youth Orchestra culminating in what will be a hilarious evening celebrating St George on Saturday at the Plume, including a jolly old sing song by our local BOARS HEAD theatrical group”. 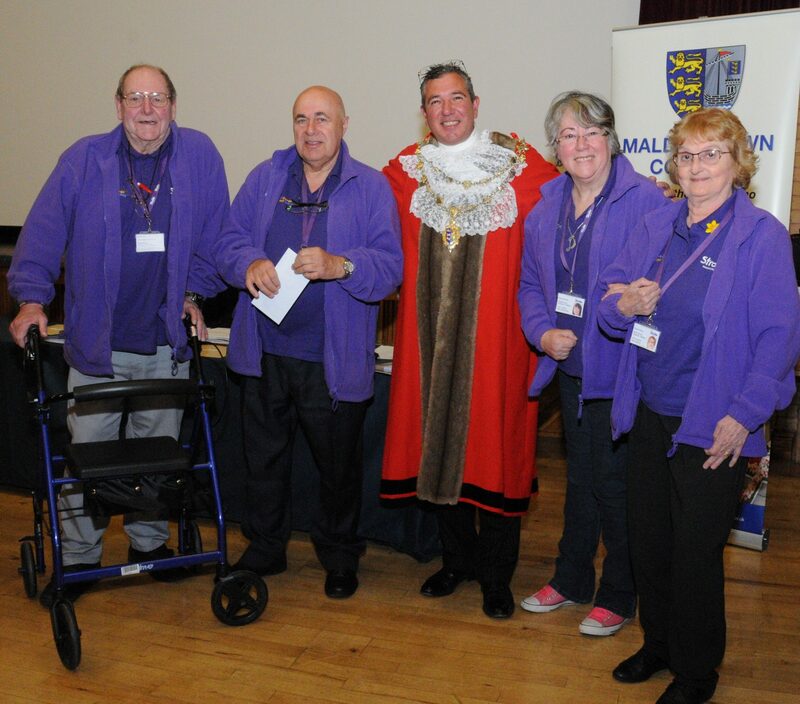 The following groups were then presented with cheques.